In the U.S. these were big cars, so you can just imagine how they compared to the VW Polos and Smart ForTwos in the Augustiner am Gendarmenmarkt beer garden parking lot in Berlin. 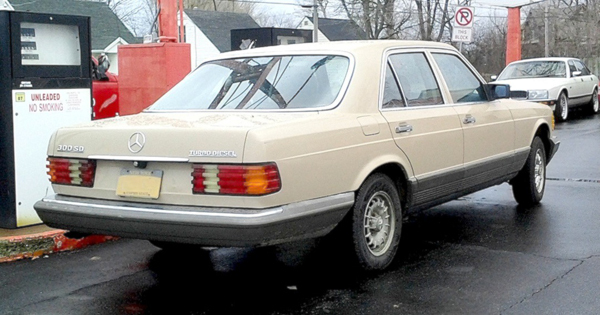 If you’re going on a long driving trip, this 1983 Mercedes-Benz 300 SD Turbo Diesel could be your best ride ever. Stylish, comfortable, and powerful, it would make the miles effortlessly melt away! Saw this one recently in Amherst. Jim Corbran, RRofWNY …and check out our Facebook page: Non-American Classic Cars The post RealRides of WNY appeared first on Buffalo Cars.